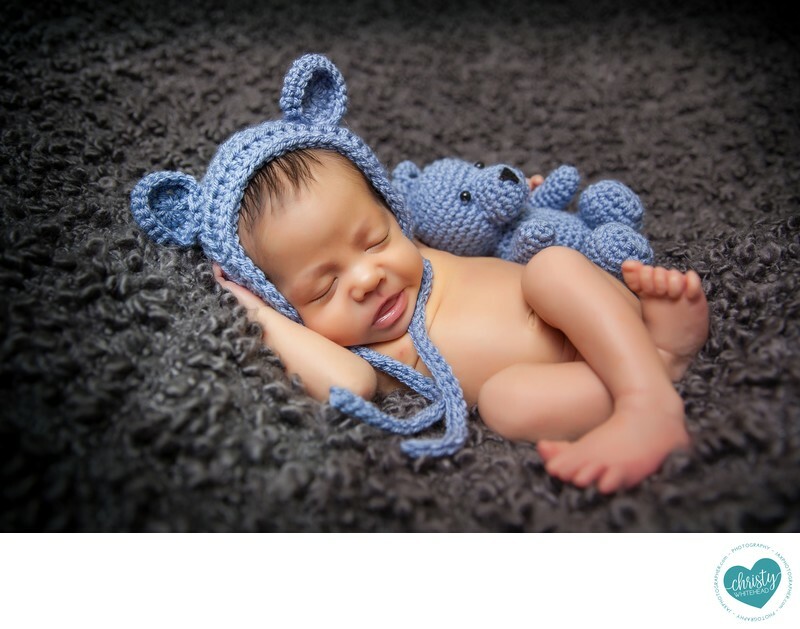 Sweet newborn with blue bear - Newborn Photography | Schedule Your Newborn Shoot Today! Love that little smirk. I have these bear hats and bears in stock in several colors.